A.J. Puk began Tuesday by throwing his first bullpen session since undergoing Tommy John surgery last April. Puk reportedly threw at around 70 percent effort. The 23-year-old was on the fast track to the big leagues last year before needing the surgery. He’s expected to return mid-season and could be a used fantasy pickup. 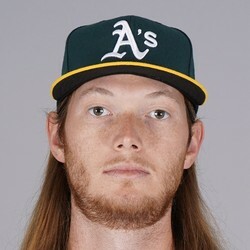 Puk has struck out 224 hitters in 157 2/3 minor league innings.